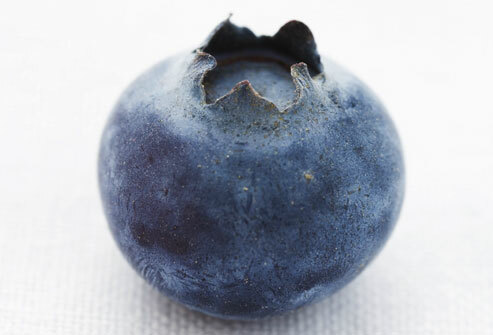 Red Wine, Green Tea and Dark Chocolate: Blueberries can help you burn fat! The benefits of blueberry consumption have been noted in several nutrition studies, an example being the cardio-protective benefits derived from the high polyphenol content in blueberries. Studies looking at the protective nature of blueberries have shown potential to have a positive effect on everything from aging to metabolic syndrome, to loss of brain mass. Plant polyphenols have been shown to fight adipogenesis, which is the development of fat cells, and induce lipolysis, which is the breakdown of lipids and or fat. In mice, the highest dose of blueberry polyphenols yielded a 73% decrease in lipids; the lowest dose showed a 27% decrease. Studies will now be done with humans..but I’m not waiting…since we already know they protect the brain from shrinking and give us better night vision…I’m having blueberries today!